Vector illustration of Amy Winehouse with the title Black to Black. Also features a Forever 27 icon acknowledging the 27 Club. Tragically she joined other musicians in death as Janis Joplin, Jim Morisson, Jimi Hendrix, Brian Jones and Kurt Cobain, passed away well before their times. 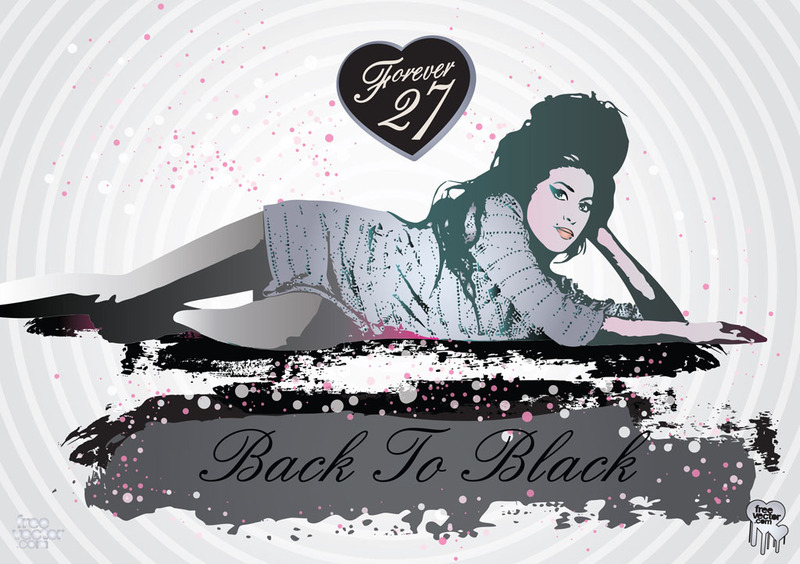 Tags: 27, Amy Winehouse, Back To Black, Dead, Jazz, Rehab, Singers, Soul, Vector.